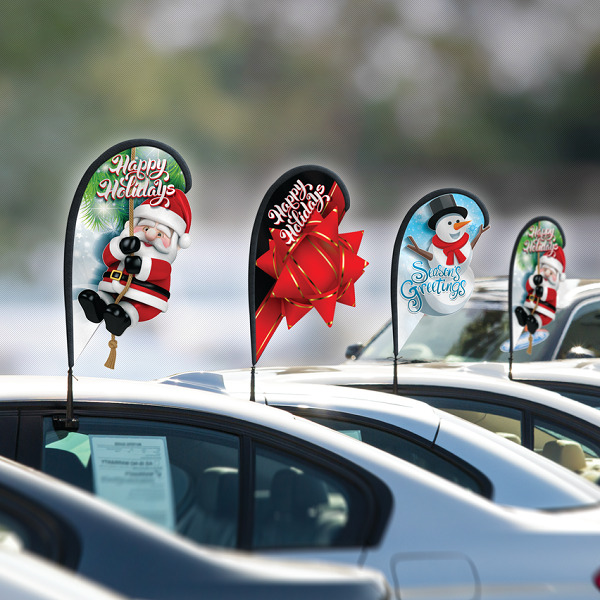 NEW HOLIDAY Double Sided 3-D Teardrop Flag Window Kit. Kit includes Stock 3-D Flag, Pole and Window Clip. Great for Dealerships, Restaurants, Events and more!